Continuity on the Chicago Bears’ offensive line was a big part of their offensive resurgence in 2013, and after an injury-plagued 2014 campaign, the team will try to replicate that formula next season. 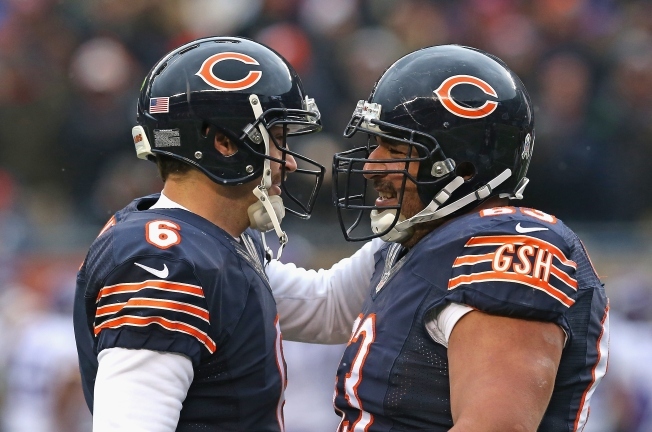 The first step in that process was completed on Friday afternoon as they signed center Roberto Garza to a one-year contract extension. Garza has played in 11 games this season for the Bears as they’ve battled injuries all over the line, and in his career he has played in 175 games overall. The Bears’ line is largely set for next season, with left tackle Jermon Bushrod, left guard Matt Slauson, and right guard Kyle Long all but assured of spots. The right tackle spot will possibly be addressed depending on whether or not the team feels that Jordan Mills can play the position, and that question could generate plenty of speculation as the offseason begins.